In Uganda, the country with the world’s highest malaria transmission rate, effective training of frontline health workers is especially critical. A new article reports the positive effects of the Integrated Infectious Disease Capacity Building Evaluation (IDCAP)’s training approaches on malaria case management in the country. “Effect of Integrated Capacity-Building Interventions on Malaria Case Management by Health Professionals in Uganda: A Mixed Design Study with Pre/Post and Cluster Randomized Trial Components” was lead-authored by Martin K. Mbonye, Msc., a researcher at the Infectious Diseases Institute (IDI) in Kampala, Uganda, and published in open-access journal PLOS ONE on Jan. 8; the full text is available online. The evaluators then measured the effects of the interventions and the performance of 36 facilities. The results were promising; the combination of interventions was found to improve emergency triage, assessment and treatment processes, and malaria care, a topic of particular importance in Uganda, where steady temperatures and rainfall enable high levels of malaria transmission year-round. 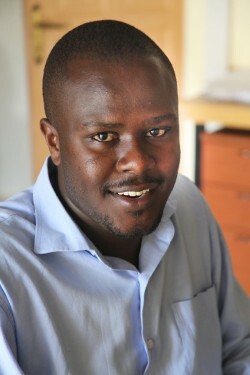 As the IDCAP’s monitoring and evaluation team specialist, and then as program manager, Mbonye oversaw the project’s data surveillance system. He reported improvements in the use of diagnostic tests for malaria suspects, the prescription of the appropriate antimalarials for patients who were determined to need one, and a reduction in the prescription of antimalarials among patients who tested negative for malaria. This decrease in presumptive diagnosis is an important element in reducing drug stockouts and resistance. I-TECH was one of four partners in the now-completed IDCAP grant to the Accordia Global Health Foundation, and University of Washington professor Marcia Weaver is the IDCAP principal investigator. This article is one of the first in a series of papers describing the study’s results.